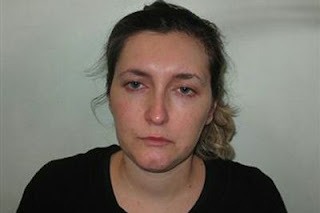 Italian woman to be sentenced for killing baby daughter on trip to London - BlogIT with OLIVIA!!! An Italian woman will be sentenced later forkilling her babydaughterduring a trip to London.Federica Boscolo-Gnolo pleaded guilty to the manslaughter by diminished responsibility of two-month-old Farah between January 23 and 30 last year. The 32-year-old, from Chioggia, who had been living and working in the UK since 2013, had initially reported her daughter had been abducted from a hotel.She had checked into the Lily Hotel near Earls Court on Saturday January 24 with her daughter and a few possessions.Later the same day, she checked out without Farah before contacting her parents in Italy. At a short hearing before the Old Bailey in February, the defendant admitted killing her daughter but denied murder.Prosecutor Jonathan Higgs QC told the court that her plea to the lesser charge was accepted in light of three psychiatric reports.